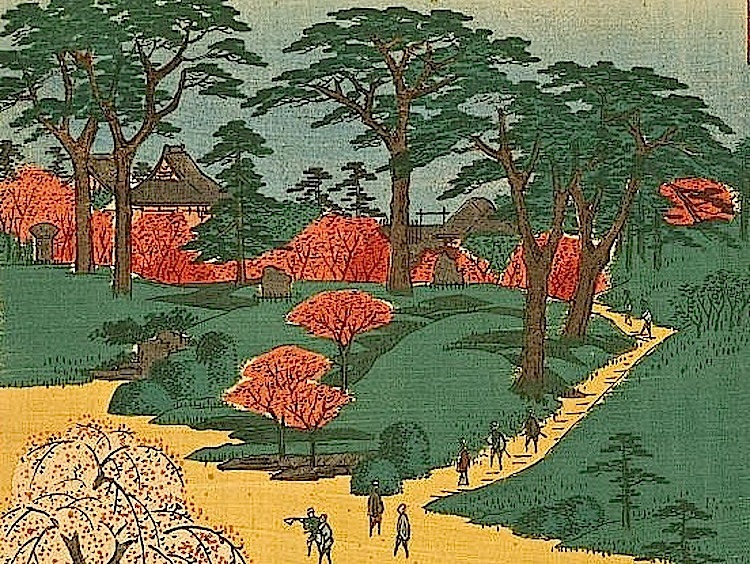 “Higurashi no sato jiin no rinsen” (Temple Gardens, Nippori), 1857, a woodblock print by Andō Hiroshige, via Library of Congress Prints and Photographs Division. The view is from Ueno Hill of Shūsō-in, one of three Buddhist temple gardens known as Hanamidera or Flower-viewing Temples. 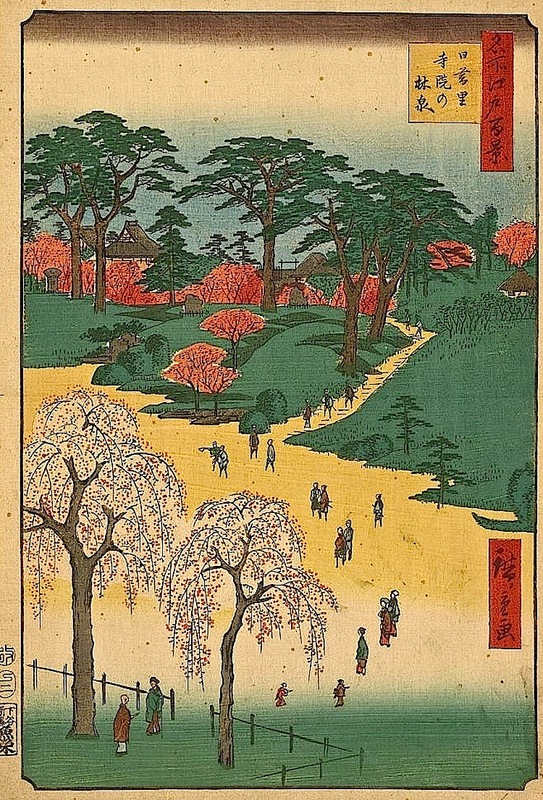 This print is one of fifty in an album of Edo (present day Tokyo) by Hiroshige. 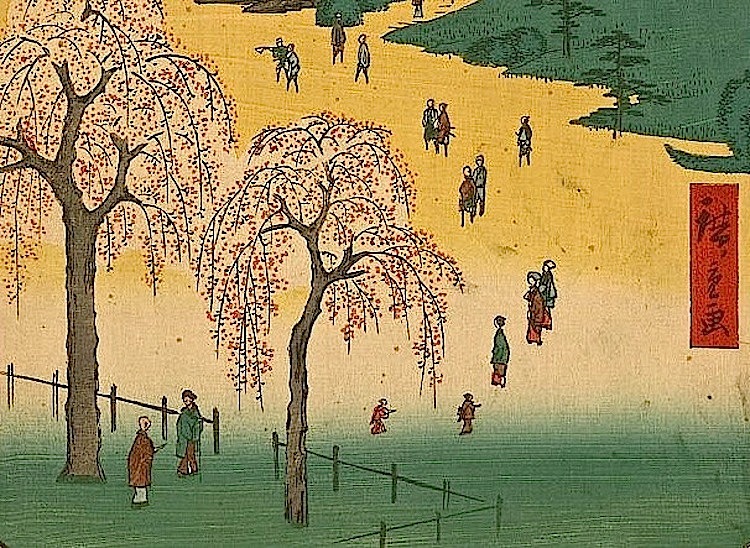 There’s a nice essay on cherishing the brief beauty of the cherry blossoms by Diane Durston in today’s Washington Post, here. The cherry trees in our neighborhood here in Stuttgart have just begun to bloom this week.